With the new content of Vipercap Gauntlet Event releasing, I want to share some comments about too fast update of PvP content for Blade & Soul. 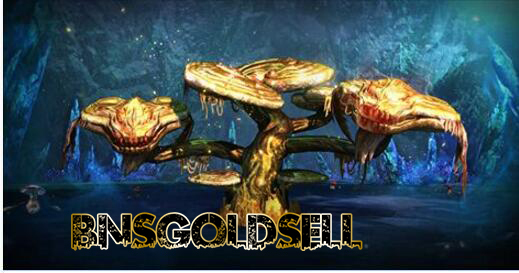 It's very messed up in the economy of Blade & It's very messed up in the economy of Blade & Soul right now. NCsoft has managed to released contents and players love them so much they would neglect PvP content and just move on with upgrading on their gears. Probably balancing the Hongmoon skills in PvP could help and adding in alternatives to getting the Hongmoon skills available through PvP instead of just PvE, which makes everyone spending most of their time grinding and earning. Half of the F2P players are earning Blade and Soul gold and upgrading their gear, the other remaining half of the P2W players obtained what their supposed to have and starts grinding the 4 man dungeon and collecting more "luxuries" and selling them off at the auction house. It is time to satisfy PvP players by improving the lags in Arena, slowing down the content, adding in events that were supposed to be free, useful, beneficial to PvP Hongmoon skills, what do we do in that event itself to gain skills for PvP. Fixing your arena glitches and bugs most of them were complaining, giving tributes and saying goodbye just because they lost and it wasn't great to lose to some ridiculous skill action. stun and not being stunned, daze and not being dazed. Bots are fine, really. They existed ever since MMORPG started. probably our PvPers are leaving because the arena wasn't so active due to PvE Contents. start to balance them if you want the the PvPers to fight against each others in a smooth and awesome performance. just increase more advertise and promotions on PvP instead of PvE. It's a very good plan to have contents released at a very fast pace while making sure everyone is able to catch up with the content but almost all the new players didn't have much time to even grind to level 50, or even 45. Everyday I see people asking for help in the faction chat and those were level 20+ who are struggling with some field bosses or having difficulties to carry on. I believe right now at this time, everybody is trying to grind their true pirate just because its way cheaper then the other paths. On one hand, we have people willing to pay for their gears and being able to move together as a team. On the other, they are being left behind and the gear progression seems to get further and further for each an every major patch.